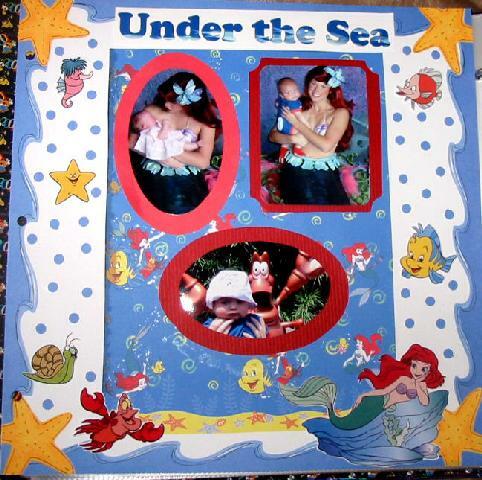 Paper & graphics are from Paper Pizazz - Making Disney Scrapbooks. Used small hole punch for the bubbles. Used Microsoft Picture it to create the page topper. Its hard to tell, but the lettering looks like an ocean. Thanks for looking!